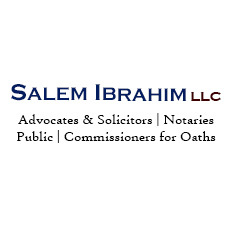 Salem Ibrahim LLC took over the firm of Salem Ibrahim & Partners which started in 1997. Our founder, Mr Salem Ibrahim, is the son of a doctor but was inspired to read law by his elder brother, Ahmad Ibrahim, Singapore’s first Attorney-General. A senior lawyer at the Singapore Bar, he is also a Barrister of England and Wales. He is experienced in all types of cases – financial disputes with assets ranging from multi-millions to zero, international jurisdiction disputes, child abduction, child relocation, family violence, Syariah law as well as family trusts and inheritance. Whilst we are often chosen for technically complex family law cases, often with an international element, the spectrum of cases we take on is wide. Our clients come from all walks of life and diverse backgrounds. We are a force in court advocacy but do not lose sight of the personal nature of family law disputes. Our clients are treated with sensitivity, respect and compassion. Niche areas of practice include drafting pre-marital and post-marital agreements, and Syariah law.